From the "grand dame" of science fiction, a dystopian classic of terror and hope about an African American teenage girl trying to survive in an all-too-real future. When unattended environmental and economic crises lead to social chaos, not even gated communities are safe. In a night of fire and death, Lauren Olamina, an empath and the daughter of a minister, loses her family and home and ventures out into the unprotected American landscape. But what begins as a flight for survival soon leads to something much more: a startling vision of human destiny…and the birth of a new faith, as Lauren becomes a prophet carrying the hope of a new world and a revoltionary idea christened "Earthseed". Chilling and thought-provoking for adult and young adult readers alike, "…there isn’t a page in this vivid and frightening story that fails to grip the reader" (San Jose Mercury News). 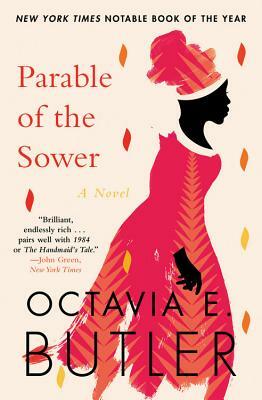 Tell us what do you think about Parable of the Sower.